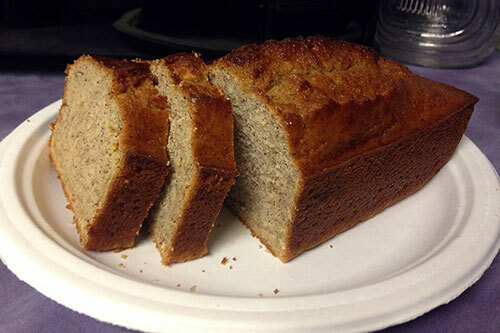 ← What’s In a Brand? Quick Response codes, or QR codes, are web shortcuts that let your customers snap a photo of something that looks like a square bar code and be taken automatically to a web page, video or file. So instead of typing a long URL into their phone or tablet browser, users just access their QR code app and snap a photo. 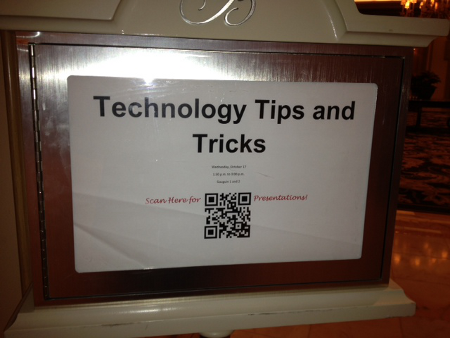 QR codes were everywhere at the SMACNA convention. 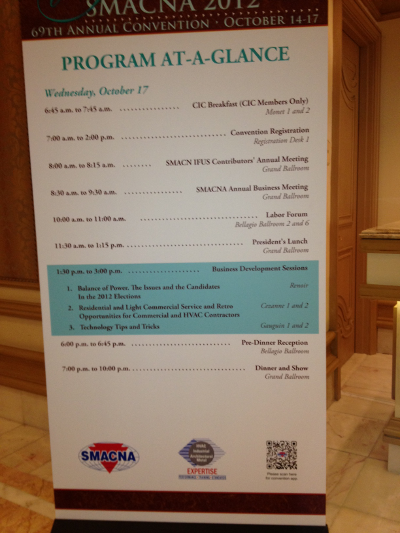 At registration, a QR code took you directly to the SMACNA convention app in the iTunes store. The signs for the sessions had QR codes that took you directly to the each session’s handout. Some of the exhibitors had QR codes that took you directly to their website, product video or special offer. How about you? How is your organization using QR codes at your conferences and tradeshows?